Who is in for a 9 month Whole 9 Challenge? The Whole9 lists 9 factors that "lead to a healthy, vibrant, balanced life". This challenge will dedicate one month per topic, starting with an Official Whole30 Nutrition Challenge in January. Here's some ideas I have for the year. If you want to do something different, join us later in the year, join for only a few months, or have unique personal goals, please feel free to do so. At the end of the prior month, let's share relevant reading and experiences so we can learn about it and set personal goals. Then as the month starts, share your goals for a Before & After personal summary at the end of the month. Check in as much or as little as you like. If you like, please share your personal goals, brief history, and something else interesting about yourself in an introductory post -- favorite food, pet peeve, Whole30 funny story, anything! Here are the 9 months, using great suggestions so far. February is a flexible month, It can be used for an extended Whole30, re-introductions, and/or establishing great eating habits now that you have foods figured out, or something else relating to Personal Growth. Oct: Refining and Reflecting- an additional synthesis, troubleshooting, etc. I'm in! Thank you, LucieB for organizing this! I'll consider my goals and ambitions for my participation over the next few days and report back! About me: Triathlete and ultra runner. Scientist in neuroimmunology, so I'm a trained skeptic with a particular interest in how foods impacts our bodies. Dislike poorly substantiated claims and enjoy reading PubMed. My personal goals: I've had major lifestyle changes and medical challenges in the past two years, I see this as an opportunity to reset myself and start anew. I'd also like to break bad habits of staring at my smart phone so dang much (especially while eating! ), hurrying through meals, and not taking care myself in times of stress. Brief history: I've been nutritionally experimenting for 6 years, and Whole30-esque for 4 years. Recent medical tests indicate I have some changes to make in my life again. Something else about me: I have a problem with chemical concoctions marketed to lure in the unsuspecting, like "Smart Ones" frozen meals, "Healthy Snack" Kind Bars, and "No Sugar Added" fruit juices. And a similar problem with people eating such foods who look down on my fat-laden whole food meals while eating such concoctions. If someone wants the .PSD to swap in your own pics or background or change the resolution or whatever, PM me and I can email it to you. I'm also in - I was a little late to the party last year, but saw a huge impact on my life & lifestyle from the changes that I made and I hope to further that progress through 2016 - I'll have to have a think about actual goals. I've been Paleo for a number of years (4 maybe? ), Whole30 for almost a year with a little deliberate off-roading (dairy, sugar & alcohol only), usually during my vacations. I am a single mum to two boys, the youngest of whom is a budding gymnast & has multiple food intolerances, the oldest of whom is a budding Grand Master and eats anything & everything - he is the proverbial bottomless pit. I am currenlty (slowly!) studying to become a registered nutritionist in between working at my current full time job, training (mostly functional movement & lifting), chores, chauffeuring my kids to their extra curricular activities, and trying to maintain some semblance of a social life. Despite popular belief I am much nicer than my resting gym face. I'll admit, I wasn't very compliant with this past challenge. Determined to take it up a notch or two this time! I am a horrible procastinator! That is my overall goal for the New Year, break down my procrastination and take more advantage of all that is out there to help me soar. I too, spend too much time on the computer and not enough moving on my off work days. Work days I am on my feet pretty much all 12 hours. Back in Oct. I ended up in the hospital with a ruptured appendix. Fortunately, unsure why, the Dr. said things weren't too messy in my abdomen so I didn't have to have a drain put in. Unfortunately, all the antibiotics thay had me on threw me into candidiasis and I have psoriasis on both eyes and the sides of my jaws. Kinda scary looking. Definitely set me up to get down and dirty with more health changes. Hoping to get my sister on board with a challenge. She has done a whole30 in the past and is ready to do another. I am currently a Respiratory Care Practioner. I also have a certificate of Permaculture Design and am still learning and trying to figure out where I want to go with it. My goal is to leave the Respiratory field behind. I am a bit addicted to security and so far, it is a secure job. Thru my 52 years of life I have turned more and more to alternative care. The more I learn and experiement with me, the more I want to learn and apply every aspect of real health. I am so glad I found Whole9/30. So the challenge is to be compliant for the full 9 months? My comment about not being compliant was meant as I wasn't as focused as I. personally, really needed to be so I didn't get as much out of the challenge I could have. Well, except for the nutrition part, ie: Whole30. Even at that, I did get something in that I know I want more! No, thank goodness! 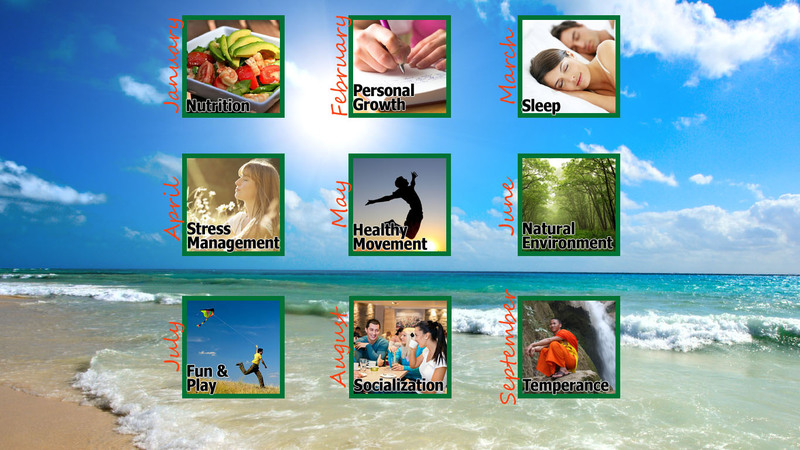 :-) It's to address 9 aspects of health, including nutrition. About me: Busy working mom of 2 (4yo & 1yo). I love reading, running, and just joined Crossfit so I'm a bit obsessed at the moment I travel a lot for work, so it makes Whole30s a bit more interesting! Something else about me: I make a super awesome couch fort. I dislike eggplant. My favorite words include but are not limited to: frolic, astigmatism, and rumpus. Something else about me: I make a super awesome couch fort. I'm a sculptor, working in textiles, and a university professor, teaching art and creative thinking and doing creativity research. I'm excited for the opportunity to focus on 9 aspects of a balanced life, as that is what I'm seeking. I also look at these topics through the lens of someone who is engaged in simplifying and decluttering her physical life, in preparation for living in a tiny house. My theme for 2015 is "mindfulness" and this Whole9 challenge will make a nice continuation of that in 2016. So, I'm looking at 2016, and this challenge, as "listening"—to my body and to my inner being and to my real needs, and with the associations of "attention" and "focus". About me: Mom of 2 college boys, an amazing dog and a wife of my high school sweetheart. I'm 45 years old. Ran my first "race" at 8 years old ... and have run every since. Sometimes I'm really good, sometimes I'm really not ... but I run anyway. Specialized nurse ... love my job. Personal goals: I need to cross-train, build some core strength and work on flexibility. I'm "injured" or hurting too much lately from running. I've had this goal for years and never get more than a few baby steps before giving it up. Also, need to work on moderation in lots of areas of my life. Brief history: I'm currently doing my second Whole30. First was last January. Loved it. Rode my bike for most of the year with some slips and re-do's a few times. Went off the rails in November - eating, drinking EVERYTHING (after some sad happenings that left me ... well ... sad). Felt so crappy I started the Whole30 early. Something else: I get a Starbucks venti iced decaf americana black EVERYDAY (hello moderation goal). I am known to many as the BEST rice crispies maker EVER ... and I can't be modest. I get asked to make them for every occasion (even formal dinner parties ... crazy, I know). It's a gift . I love, love, love animals and Christmas music ... kind of lame, I know, but it's me. Mum of 3 boys and work full time. Try and get as much exercise as possible – favourite things being lifting heavy things and willpower & grace. Really interested in the whole paleo lifestyle. After 30 odd years of dieting, being on the verge of anorexia, bulimia & disordered eating, discovering I am in a family with generations of coeliacs and gluten intolerants and having a wrecked thyroid - it is now my time to heal. I am going to trek to Everest base camp in Nov 2016 for charity – I want to be physically and emotionally fit and strong. I have always loved mountains, walking and nature but I have put so much of me on hold to look after everyone else. Before I was “tied down” I always tried to challenge and stretch myself. Once I was “tied down” there seemed to be no opportunity to “live” it seemed all about just existing. My kids, albeit they are monsters at times. Big mountains and the wonderful exhilarating fresh air at the top. Being a little scared by making crazy decisions to stretch myself but also being calm & at peace with myself (when it happens). Wearing Christmas jumpers for charity – why not just give the money you would have spent on the jumper to charity instead. My lack of self-control when things take a turn for the worse – I should know better. The W9 fits perfectly with all the things I know I could improve on in my life. I just need like-minded folk “with” me rather that folk who don’t get it criticising. My children are grown, Zoe, and/but I know firsthand how hard it can be for us to nourish ourselves. It will be great to focus on this self-love and self-care (which can seem ""selfish" (!) during our Whole9! Yes, let's have joy in this new year! Only if you put peanut butter in them!